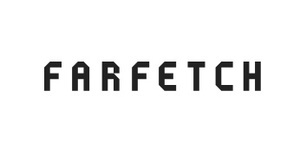 Description: Farfetch exists for the love of fashion. They believe in empowering individuality. Their mission is to be the global technology platform for luxury fashion, connecting creators, curators and consumers. They operate the only truly global luxury digital marketplace at scale where lovers of fashion anywhere in the world can shop for an unrivaled range of incredible products from the world’s best brands and boutiques. They offer more than 2,900 brands available, ranging from heritage brands to emerging designers.